At last winter has ended! 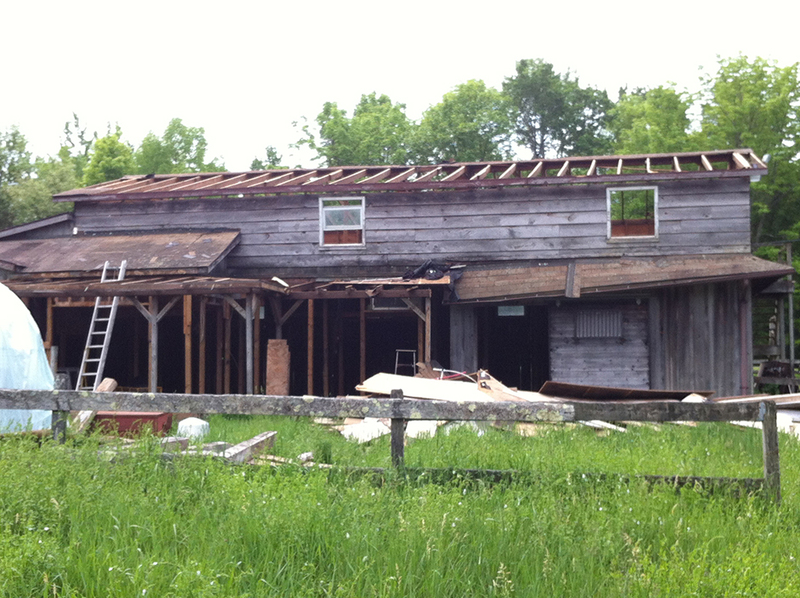 With the snow rapidly melting it's time to start some demolition at 10 Horse. Project manager Justin Barros carefully begins to dismantle certain sections of the building as per the architect's plans. 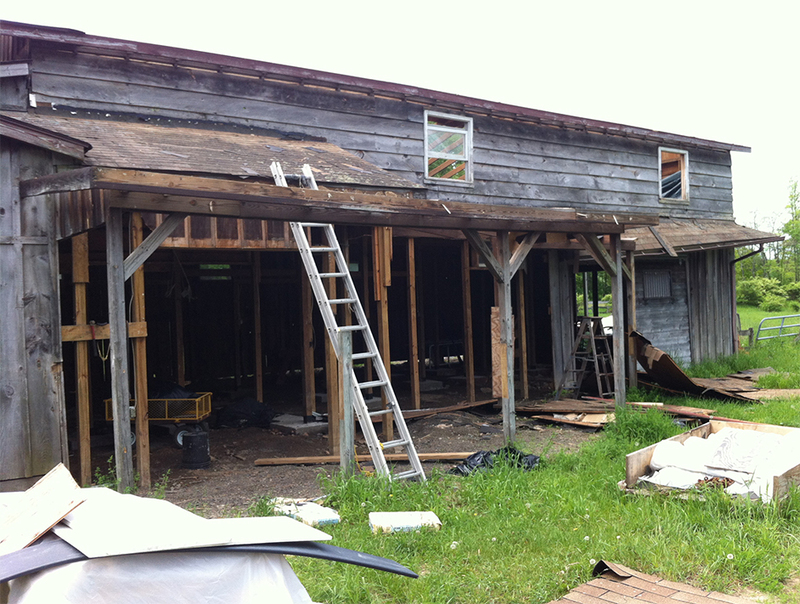 The exterior porch areas (where we envision the ranch hands rocking on chairs at the end of a long day) are being removed and will be rebuilt and enclosed to provide additional exhibition space. Time for some of the side roofs to come off as well. 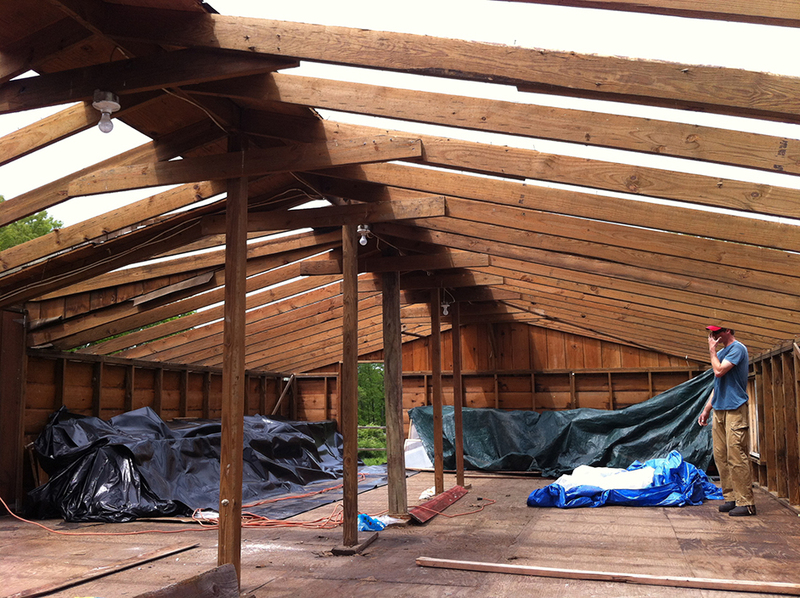 These were build well enough for a horse barn but are not quite up to the task for an Art Center. 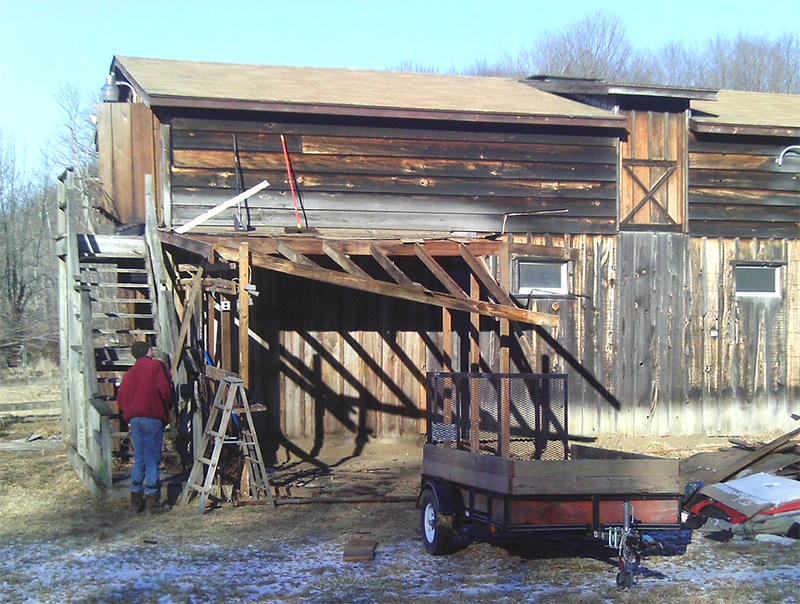 10 Horse Art Center founder Robert Sabuda stops by the property to lend a hand during the demolition. 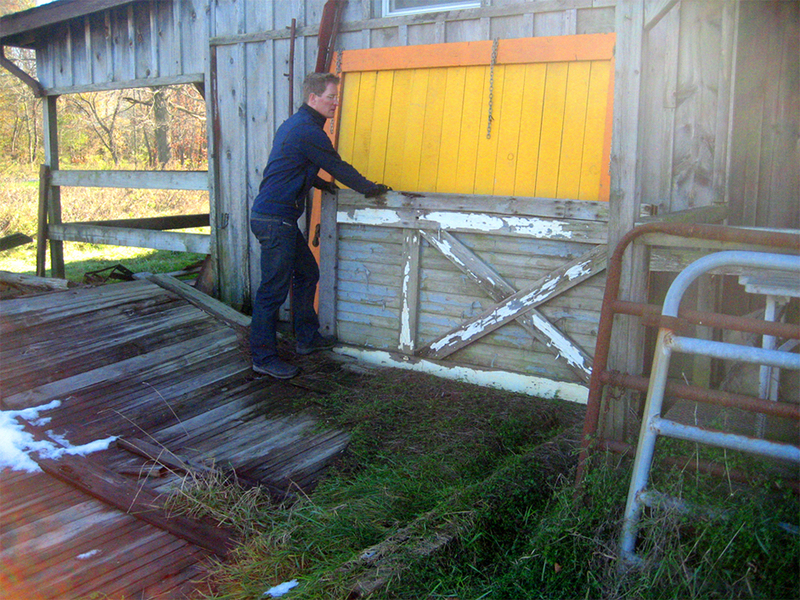 The old barn contained many beautifully weathered doors which will be reused in the new structure. 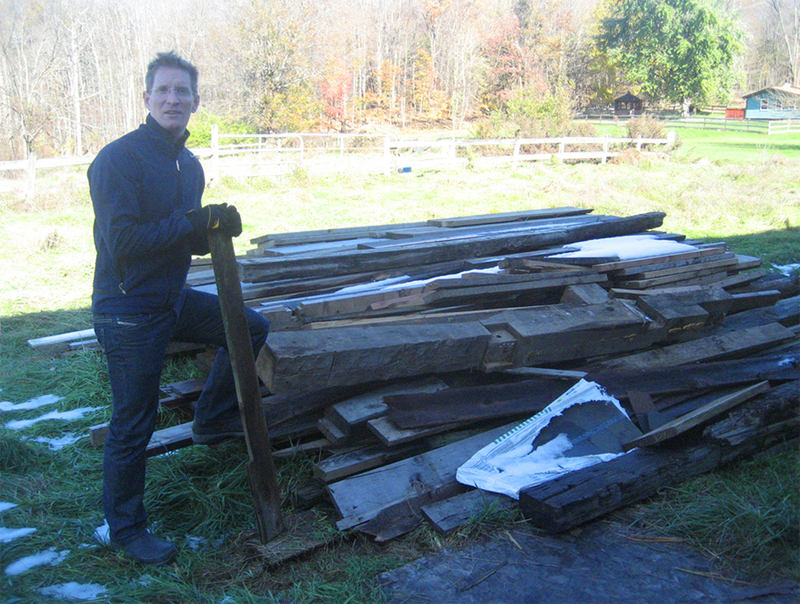 Any salvable wood or timber is set aside and stored for later use in the renovated building. 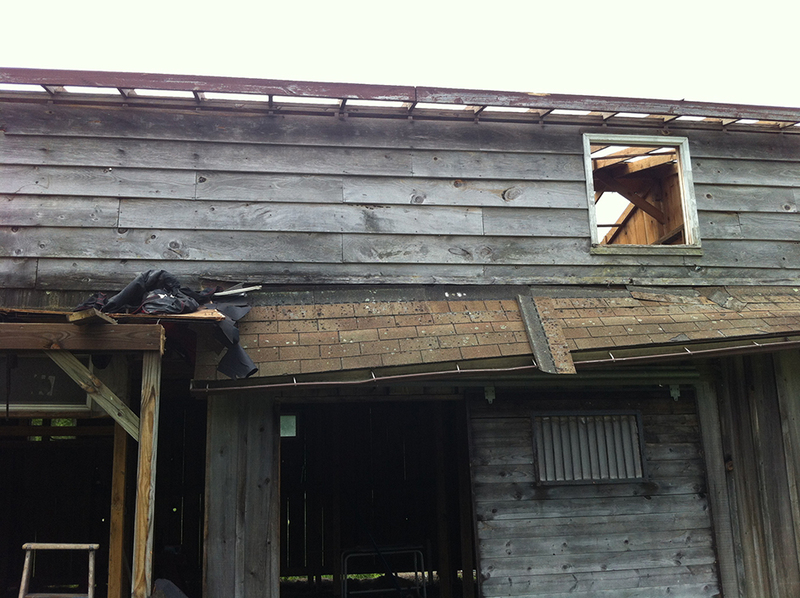 And we do mean "extremely low roof." 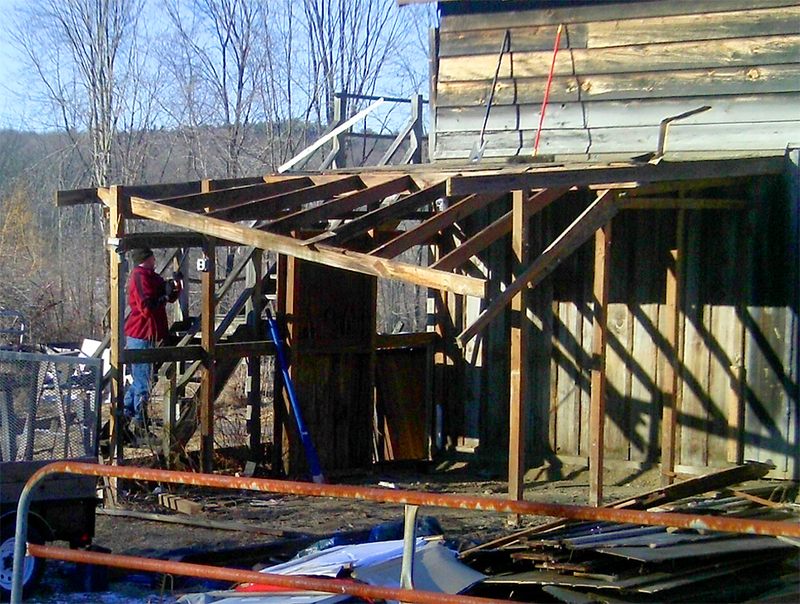 Project manager Justin gives a sense of the very low pitched roof. The new roof is at a steeper angle, both to allow for more head room and to meet the needs of the up-and-coming solar panels.